Sometimes in life we need to have a reason to celebrate. 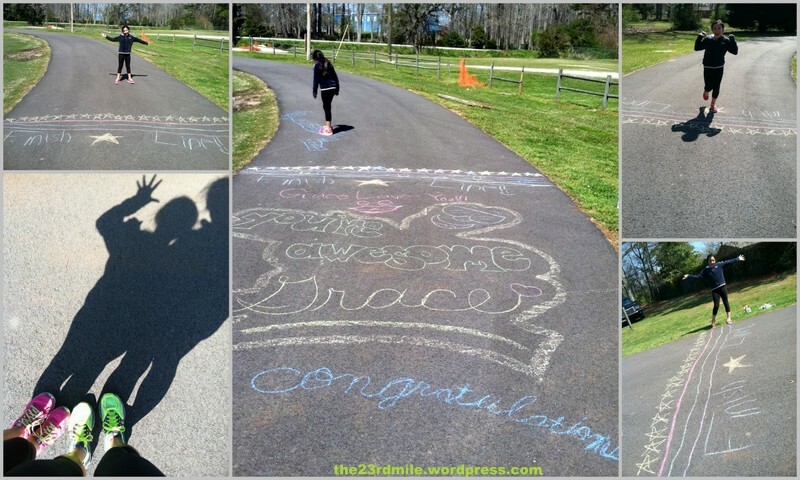 Go create your own finish lines. There are some moments in life that you’ll have to create your own reason to celebrate. Go make a new finish line. Sometimes in life, you’ll just have to create your own finish line. Go find a reason to celebrate. Go find a reason to celebrate, even if you have to create the finish line yourself. 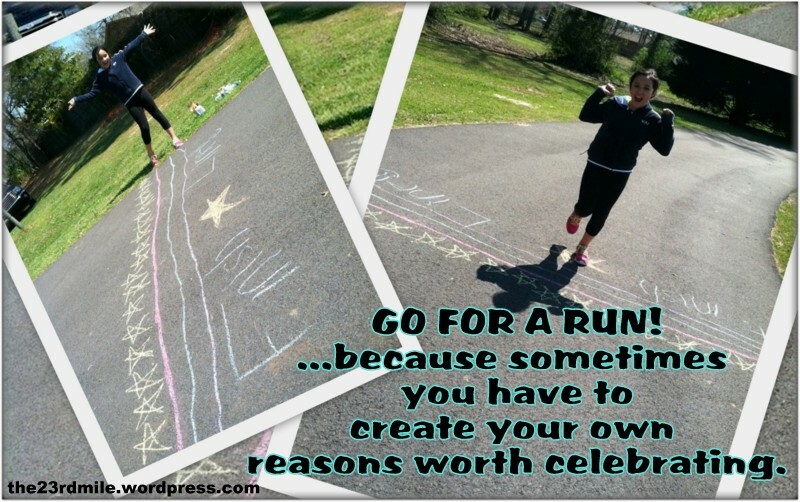 Running gives you a reason to celebrate, even if you create the finish line in your own imagination. Running gives you reasons to celebrate, even when setting the finish line yourself. Running gives you reasons to celebrate, even if you’re the one who set the finish line. Give yourself a reason to celebrate. GO FOR A RUN! …Because sometimes you have to create your own reasons worth celebrating. Categories: running | Tags: 10k, 13.1, 26.2, 5k, C25k, Chilton Runners, couch to 5k, finish line, run, runners, running, sidewalk chalk, why I love running | Permalink.